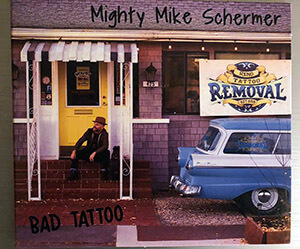 “Bad Tattoo” by Mighty Mike Schermer packs a mighty fine punch of blues guitar wizardry. When you’re looking for great music, and in this case, great blues, sometimes you need to look no further than just around the corner. Mighty Mike Schermer has been shredding Lake Tahoe ski slopes all his life and has a family home in Truckee. His primary residence is Austin, Texas, where he plays with the Marcia Ball Band. He’s the former guitarist for Elvin Bishop. 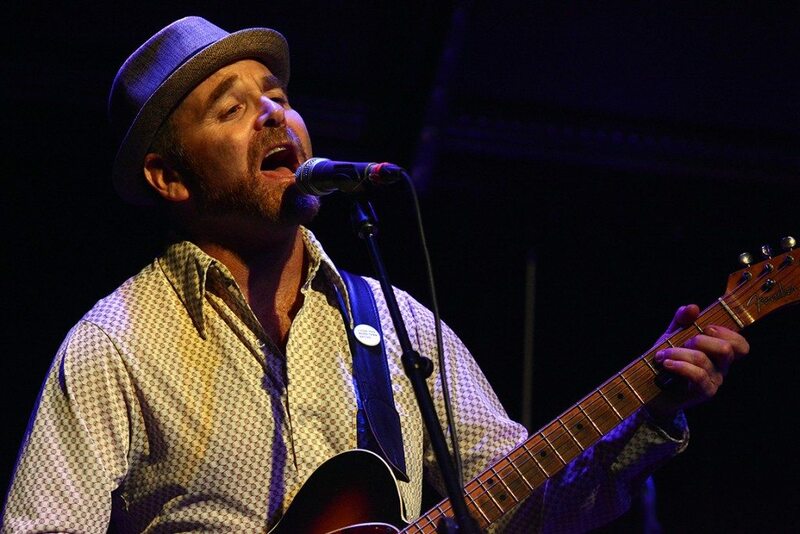 When he’s in Tahoe, he plays at the Alibi Ale Works, Carson Valley Inn and Harrah’s Lake Tahoe, where he will perform Tuesday, April 9, fronting the Buddy Emmer Blues Band. He’s also a member of the West Coast supergroup The Guitarsonists with Daniel Castro and Chris Cain. Schermer can hang with the best of ‘em. Schermer has been learning and playing music since age 10, but his life was transformed blues-wise when he saw Albert Collins in 1984, to which he has been working the Telecaster himself, based on that influence. It shows. It’s always good to support local music, especially when the local music is a barn burning blues guitarist. Pick up a copy of “Bad Tattoo” by Mighty Mike Schermer, and let his Telecaster melt your blues away.